Field parties, equipped with the correct clothing and a balanced diet, need to ensure their living accommodation is equally well designed. 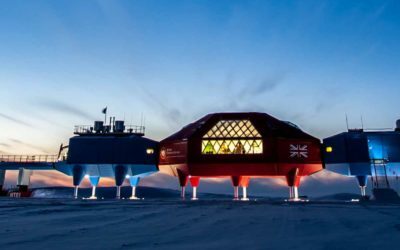 They use specially designed pyramid tents made to withstand high winds and wind-driven ice particles. To insulate them from the ground they use a butyl ground sheet, inflatable airbed and a sheepskin. A comfortable night’s sleep is ensured by using high quality down-filled sleeping bags. For those allergic to down synthetic bags can be provided (they have the disadvantage of being bulkier). Field camp in blowing snow. 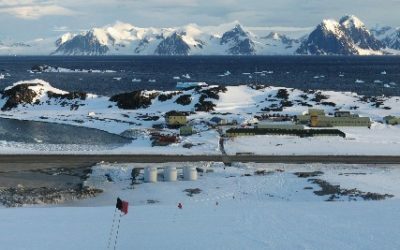 Field parties may camp up to a hundred days in an Antarctic summer. The weather dictates how much work can be accomplished. 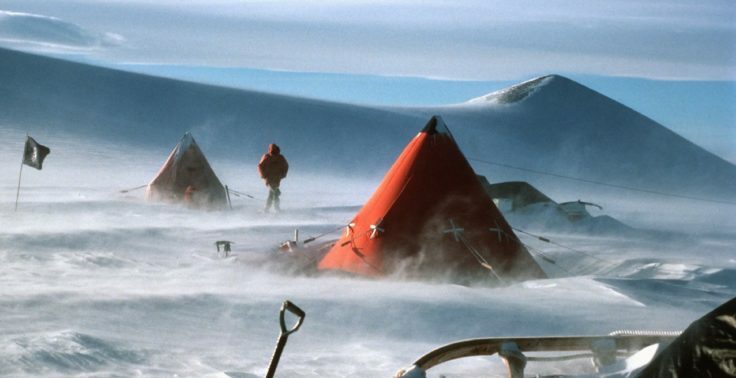 The most demanding conditions are associated with high winds or with whiteout conditions. In whiteout nobody moves far from the camp. Whiteout is a time of complete cloud cover at low altitude (or fog) with possibly rain or snow. In whiteout there is no detail in the snow or cloud, and is well likened to living on the inside of a “Ping-Pong” ball. Crevasses and the horizon are both invisible, so it is dangerous to be moving into unknown territory. 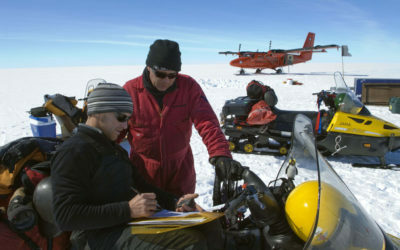 By contrast in high winds, snow drifts near the ground, and a combination of wind-driven snow and wind-chill can make it difficult to collect scientific data accurately. Such days are best spent “lying up” and working within the safety of the tent. In periods of good weather during the continuous daylight of midsummer field parties may work around the clock to compensate for time spent lying up.